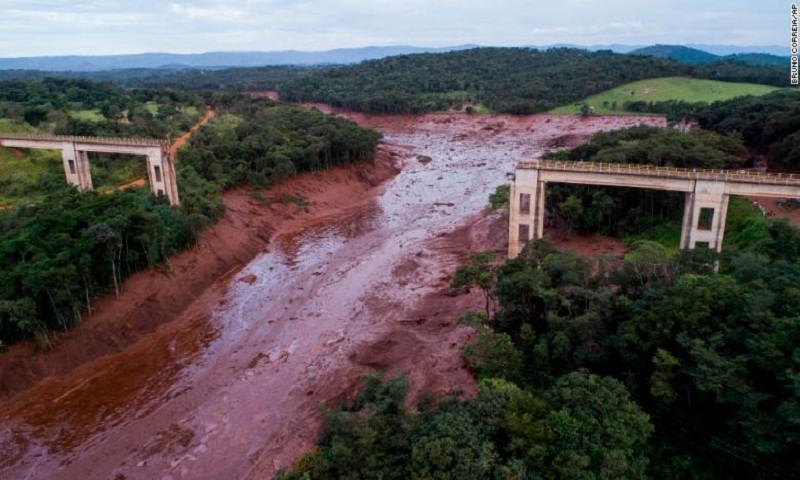 The dam's breach flooded parts of the southeastern state of Minas Gerais with mining debris and mud, which covered the city of Brumadinho, according to footage from CNN affiliate Record TV. The state judiciary also froze more than $260 million from Vale, with a presiding judge citing the company's responsibility for the disaster. The money will be deposited into a judicial account to compensate for any costs to the state as a result of rescue operations or victim support. Minas Gerais state has fined Vale $99 million for damage caused by the dam break and said the money will be used for repairs. It was made clear during the press conference that the priority now is assisting victims and their families. After that, officials said they'd focus on environmental damage and the mining process. In an effort to find missing people, the Federal Attorney General's Office obtained an injunction in the Federal Court of Minas Gerais ruling that mobile carriers should provide data from the cell phone signals of people who were in the region where the dam broke.